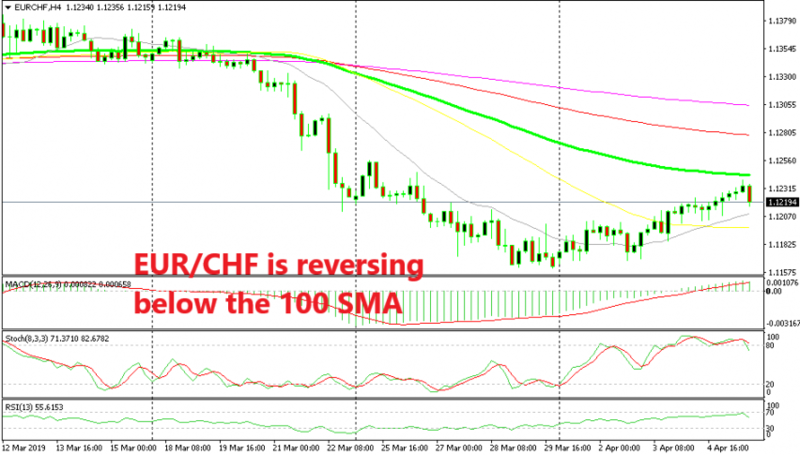 EUR/CHF turned pretty bearish in the previous two weeks as the sentiment turned negative in financial markets. The 20 SMA (grey) set the downtrend for this pair as it pushed the price lower and EUR/CHF declined from 1.1380s to 1.1160s at the end of last week. But, the decline stopped this week and we have seen a retrace higher all week. The 20 SMA was broken first, then the price moved and stayed above the 20 SMA after finding strong resistance at this moving average for quite some time. By the middle of this week, the 50 SA (yellow) was broken as well, giving up without much if a fight. But now the retrace higher seems exhausted. 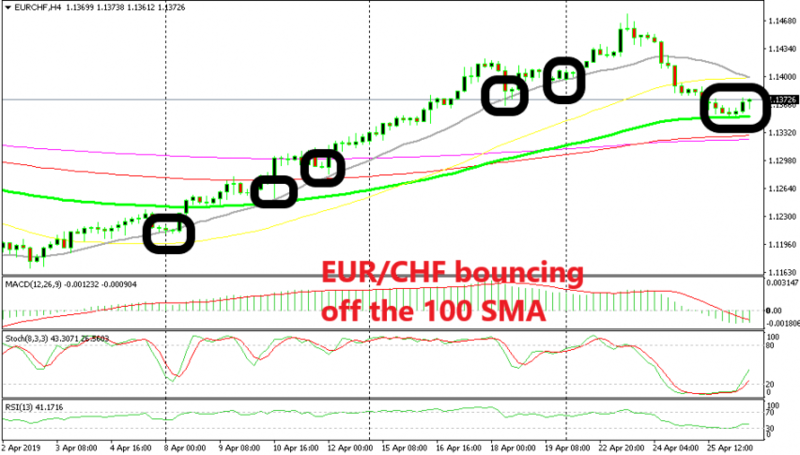 The stochastic indicator is severely overbought on the H4 time-frame and above stands the 100 SMA (green). This moving average has provided resistance to EUR/CHF back at the end of last year, so it seems like the buyers are unloading their positions below the 100 SMA as this pair is already starting to reverse down. We went short a little higher earlier on, hoping to get some pips as the price reverses. The first target will be the 20 SMA on the way down and then it’s the 50 SMA, but let’s see if this will be a real bearish reversal. 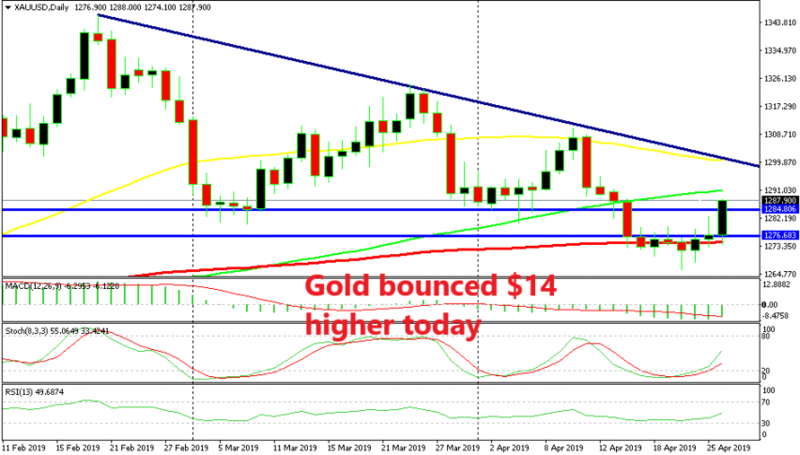 If the two moving average below get broken, then the bearish trend will resume.